The number of criminal charges filed annually by the Department of Justice (DOJ) against health care providers and professionals continues to escalate. On June 28, 2018, the DOJ announced that the Medicare Fraud Strike Force had charged 601 individuals across the United States, including more than 150 physicians, nurses, and other licensed medical professionals for participating in health care fraud schemes involving more than $2 billion in false billings this summer. At the same time, the U.S. Department of Health and Human Services initiated suspension actions against numerous providers, including doctors, nurses, and pharmacists. This summer's charges eclipsed those announced in July 2017 against more than 412 individuals—including doctors, nurses, and other licensed medical professionals—for participating in health care fraud schemes involving approximately $1.3 billion in false billings. At the time, the July 2017 charges were the largest set of health care fraud enforcement actions in the history of the DOJ. This recent set of charges shows that the DOJ has accelerated its investigations and prosecutions of health care providers. According to the DOJ, the charges against the defendants involve schemes to submit claims to Medicare, Medicaid, TRICARE, and private insurance companies for treatments that were medically unnecessary and often never provided. In many cases, patient recruiters, beneficiaries and other co-conspirators were paid cash kickbacks in return for supplying beneficiary information to providers, so that the providers could then submit fraudulent bills to Medicare. Collectively, the doctors, nurses, licensed medical professionals, health care company owners, and others charged submitted more than $2 billion in fraudulent billings. In the Northern District of Illinois, 21 individuals were charged for various fraud schemes involving home health and dental services. These schemes allegedly involved over $54 million in fraudulent billing. 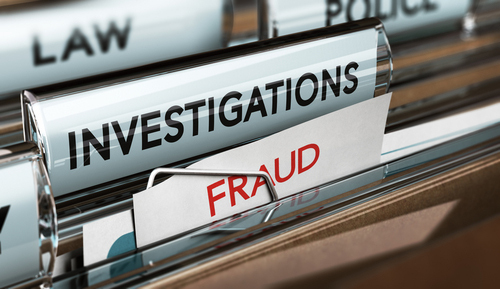 One case alleges a home health fraud and kickback conspiracy, which resulted in more than $6.2 million paid by Medicare based on the fraudulent billings. In the Eastern District of New York, 13 individuals were charged with participating in a variety of schemes including kickbacks, services not rendered, identity theft, and money laundering involving more than $38 million in fraudulent billings. For example, the owner of a Brooklyn ambulance company was charged in a $7 million conspiracy stemming from the alleged payment of kickbacks for the referral of patients, who subjected themselves to purported physical and occupational therapy and other services, and were transported by the ambulance company.